I am in a somewhat unique position with stocking a 55g I decided to refurbish recently bc I have a practically empty 200g (synodontis catfish, and 10 year old Nile tilapia on her last fins) that can be used for any fish that grows large in the next year or so. After getting the 55g tank flowing again I put a juvenile Senegal bichir 4". The only inhabitants with the bichir's entry was a few danios which he picks off at night(what i wanted). 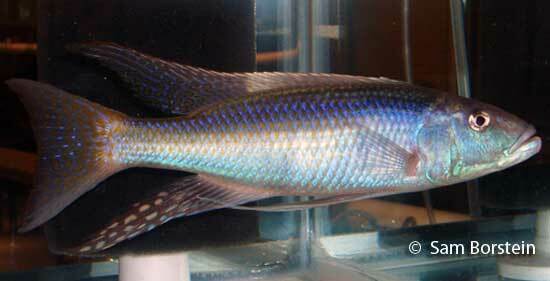 Anyway, I'm interested in using the same 55g to grow a juvenile african cichlid, obviously one of the right size and diet, but I can't find much info on this stocking. My plan is to put both the grown african cichlid and the Senegal into the 200g whenever they get big and my tilapia is dead. And please don't just say put an american cichlid in. My water here is hard and perfect for african cichlids, so that has become my wheelhouse, but I'm not familiar with what might grow up nicely with my dinosaur. I was thinking tyrannochromis "big mouth hap" or another large hap that reaches 8-16 inches, but I would appreciate any input even if it is "No u cant do that". Just something I've been dreaming about. I think an open water swimming carnivore would be really cool with a bichir especially a nice blue tyrannochromis. Thoughts? Suggestions? Tweaks? (FYI filtration is not an issue I've been hoarding HOB and canister filters from craigslist for years just need a cool fish to put them to work).